This wasn’t nearly as difficult a job as I thought now that I’ve done it. 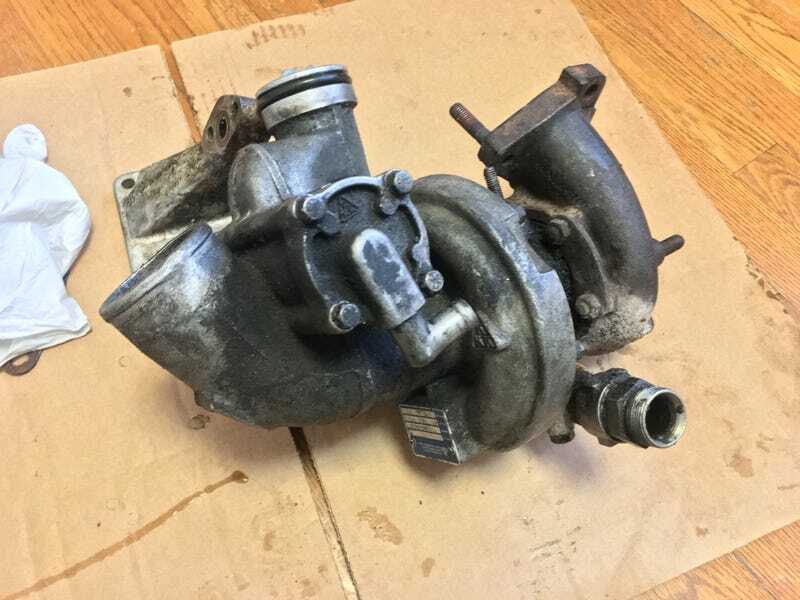 This is what the turbo looks like out of the car, and depending on your experience with turbos, this is either chonky, or small. My hand for reference below. This thing was damn filthy with that oil leak and such. Oven cleaner is some nasty stuff. Have to wear a respirator for that but holy crap does it work better than brakleen. However, I do think it’s caustic or has the ability to deteriorate certain metals if left on the surface over time so I probably spent 15 minutes at most spraying, brushing, and wiping. But it’s damn near spotless in comparison now. I think I’ll be able to get the turbo in this weekend once I’m done cleaning things of oil and gunk.